Anglo American and Codelco agreed to suspend legal action in the lawsuits filed by both parties in the conflict around ownership of the Anglo Sur projects in Chile until August 24 to have more time to try to settle the dispute out of court. Chilean media reported that a potential solution to the dispute might involve minority shareholder Mitsubishi to give up a small stake to enable Mitsui to build up a stake. Anglo sold 49% of the project at a high valuation after Mitsui and Codelco made agreements about a deal based on Codelco’s option to buy into the project. Vale’s former CEO Roger Agnelli will head a new mining venture set up by investment bank BTG. Initial capital of the new venture: B&A Mineração. The new company inherits a stake in a potash project in Brazil and a copper project in Chile and will look into further opportunities in Latin America and Africa. Whitehaven, one of Australia’s largest coal miners with mines in Queensland, received a buyout proposal by its largest shareholder: Nathan Tinkler. Tinkler already owns 21.6% of the shares and proposes to buy the rest of the shares at a 50% premium to take the company off the stock exchange. Total bid amounts to approx. A$5.2 billion. The peace talks between Anglo, Codelco, Mitsui and Mitsubishi underline a trend of the growing importance of alliances and multilateral networks in the industry. 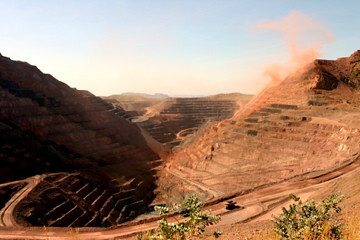 As mining projects more and more take place in relatively unstable areas of the world an important mining projects require investments so big that it can hardly be carried by a single company, companies need to build upon the strengths and contacts of other companies and find win-win agreements with governments to successfully develop their projects. B&A Mineracao is the 2nd high-profile mining startup in recent years, after Nathan Rothschild started Vallar 2 years ago. The initial success and quick issues of Vallar’s tie-up with Bumi demonstrated three important lessons for these startups that plan to be big soon: Firstly a powerful financier that can chip in multi-billion investments is needed to gain any importance; secondly a combination with existing producers is the only way in which the growth can be quick; and finally effective ownership and governance arrangements around these alliances are crucial to make the new management successful. Diego Hernandez, Codelco’s CEO, decided to quit prior to the end of his terms for personal reasons. Conflicts around the level of interference by the board in management of the government-controlled company are mentioned as the reason. CFO Thomas Keller will take over as CEO. The change of CEO comes in a critical period for Codelco as it is in a legal battle with Anglo American about the ‘Sur’ project, in which Codelco claims to have the option to buy a larger part than Anglo wants to sell. Australia’s new Enterprise Migration Agreement (EMA) makes it possible to bring in foreign workers on fixed term contracts for projects with an investment of $2bln or higher and a peak workforce of over 1500 employees. The EMA takes a project-wide labor agreement approach, making it possible to have subcontractors bring in people via the overarching project agreement. As part of the merger deal with Glencore the Xstrata shareholders will get to vote on a $78mln bonus for Mick Davis to stay on for another 3 years. Other executive directors will be offered retention bonuses too. Australia’s EMA will mainly be used for low skilled construction workers. The shortage of highly skilled planning and engineering employees is unlikely to be resolved as those contracts are typically not fixed-term and not project-specific. The Australian government expects it needs to add 89 thousand short-term workers in the next years. Still the unions, which are very powerful in Australia’s resources sector, are complaining about the Agreement, saying that bringing in workers for overseas will hurt the domestic labor market. A key issue in the flexibility of this market is that many workers are available in the East coast region, but most of the work is available in the remote areas on the West coast. As ‘deal-friendly’ investors have built up a share ownership that makes it likely that Xstrata’s shareholders will vote in favor of the merger with Glencore in the currently proposed 2.8x share proportion, the focus of management activity shifts back to regulatory issues and planning for post-merger activities. A key issue in th successful integration of the companies will be to join the corporate cultures of the trader and the miner. The retention efforts will likely go further than just executive leadership, targeting several hundreds of top management. At the same time the company will have to work on retaining the top traders and top management from Glencore’s side.